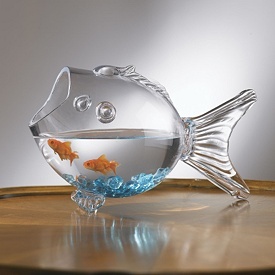 love « Living Life in a Fish Bowl! I have always had a wide range of emotions. I feel things strongly. When I get excited, I almost always talk louder and faster. Some, who don’t know me, think that this means I am getting angry. No, getting loud is not synonymous with anger. I used to try to subdue it but then people would ask me what is wrong? (I now embrace the excitement but try to be aware if someone is misinterpreting my voice raising. This recently happened when we were having a discussion about women ministers. This topic is near and dear to me. I feel very strongly about it. There was a time when someone’s disapproval and lack of understanding of scriptural context would get under my skin. Funny thing is then I didn’t say anything. Now I recognize the responsibility to speak up – to educate – to point out that God’s Word does not contradict. I am not mad at the person for being misguided.) Ahh a topic for another day. So a few days ago my Dr. put me on a steroid to bring my sed rate down from a much elevated level. I was warned by many that it messes with your emotions. Even knowing that did not prepare me for Godzilla. I also cleared my schedule today – a rarity for me. I told my husband this would be a really good day for him to use the church office. I was not doing people today. I love people and that is why I was not going to leave the house. I asked God what I should do. How was I going to get through the next 11 days – til my follow up appointment. Starting tomorrow I cannot clear my schedule. Come Thursday I leave with a large group of women (that I love dearly) for a 2 1/2 day retreat. Sitting there with God this morning, that scared me. Weird as it sounds, I felt impressed to get on facebook. I was thinking – ok I can distract my emotions with that for awhile. First thing I saw, upon scrolling, was a song a friend had posted. I remembered that song from long ago. I listened to it and it was as if God was all over that song. I thanked my friend and got offline. I sat down at the piano and began to play the song – over and over and over. I don’t know how the next 11 days will go. How often will I need to apologize? I don’t know if I will pass the stress test. I don’t know what is ahead health wise after my follow up appointment. What I do know is that God loves me. God loves you. His grace is enough. In my weakness He has proven Himself strong EVERY SINGLE TIME. If you see me, yes, I could use a hug. Yes, I will need grace. Yes, I really am trying to keep Godzilla buried. I apologize ahead of time and will do it again later as needed. Please be understanding and please pray for my husband!! Honey, I know you will be reading this. I am soo glad that you are going through this with me. I know your heart. These five verses in Romans contain the things I love about being a Christian. It is not an all encompassing list, for there are so many things – too many to name. Here are the things listed in Romans 5 that I love: God, Jesus, Holy Spirit, faith, peace, hope, tribulations, endurance, character and love. You might think tribulations shouldn’t be on that list of things I love. Yet, without tribulations/problems/suffering I would be self-centered and impossible to live with and so would you. Trials bring me to my knees before God. Having gone through suffering, and seeing how God works in and through it, helps me to build up endurance. Endurance is needed. We are not in a sprint but a marathon. God doesn’t want us to be a wishy washy Christian. Our character is developed as we hold fast to Christ and go through tribulations. With each one we learn to trust God more. We grow. Tomorrow I will look more closely at verse 1. If God is for us (and He is) than who can be against us? (v 31) Our God is greater! God makes a way for us. He sees the whole picture. Jesus is ever interceding for us. (v34) Think about that for a moment. Intercede – to intervene, to pray, to reconcile differences. Jesus loves us – nothing can separate us from that love. Life is messy. In a perfect world bad things wouldn’t happen. We don’t live in a perfect world. When life does not go in the direction we hoped, remember Jesus intercedes for you, He loves you. What defines us should be what God says about us. We belong to Him. We are victorious in Christ. (1Cor 15:56-57) It ain’t over until He says it is over. Nothing’s gonna dull the sparkle that Jesus gives me! Our home is decorated with the love of others. The room I am currently in has two pieces of furniture from Curt’s grandparents, two pieces of furniture from my grandmother, a piece of furniture from my sister, a chair from a couple we mentored, a computer from a dear friend, and numerous knick knacks and wall hangings from people who love us. Yes, I am surrounded by the love of others. When Jesus comes into our lives, He brings love, joy, peace, patience, kindness, goodness, faithfulness, gentleness and self-control to decorate our lives. (Gal 5:22-23) Are we displaying them for all to see? Our house has siding on it and shingles on the roof. The Bible addresses what are ‘siding’ and ‘roof’ should look like. “…putting on faith and love as a breastplate, and the hope of salvation as a helmet.” (1 Thess 5:8) Does your ‘siding’ or ‘roof’ need some attention? Yes, our home is decorated with the love of others but more importantly my life, your life, is decorated with the love of Jesus. May He feel at home in our lives! Jesus, You are welcome in each room of my heart! you don’t have my back? David was familiar with the pain of a relationship that he thought was solid but wasn’t. But what about this person who has bitten my hand? First I pray about it and ask God to guide me and to heal my broken heart. Then I ask Him to deal with that person. (Romans 12:19) There are times when I must step back and put some distance there. Healthy boundaries are a part of taking care of myself. God gives us wisdom to know what to do and strength to do it. The key is that in whatever we are doing – let’s remember to let God’s love guide us. In all of the books Paul wrote, he started out asking for God to give the reader grace and peace. In four of his books he added mercy to the list. Grace – getting what you don’t deserve. Living in truth and love is vital if you want to live a life of grace, mercy and peace. 2 Peter 1:2 tells us “May God give you more and more grace and peace as you grow in your knowledge of God and Jesus our Lord. Who doesn’t want more grace and peace? It flourishes when we grow in our relationship with God. As we draw near to Him, He draws near to us. (James 4:8) We are truly as close to Him as we choose to be. Does it seem that you could use more grace and peace in your life? Then make the decision to spend time getting to know who God is. As you do, you will find your faith will grow and with that peace, grace and mercy will too. My dad would end all his letters with this passage from Jude 2. When I opened my shades this morning, I was greeted to a dusting of snow on the ground. My first thought was — look how it sparkles! Sparkle was a code word for me when I worked at the clinic. It reminded me to stay positive, to not complain, and to let God’s love shine through in all situations. So there I was looking out my window thinking about sparkling. Of course, then, I was not about to complain about snow on April 19th. So my next thought was ‘white as snow’ from Isaiah 1:18. ‘white as snow’ — the transformation that takes place when we grasp the forgiveness that is ours through the blood of Jesus. His love for mankind kept Him on the cross. Death could not keep Him. His resurrection displayed His power.